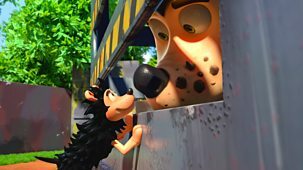 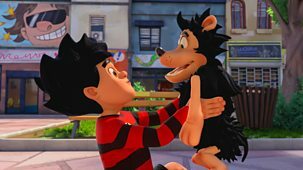 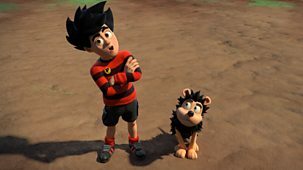 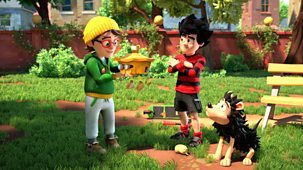 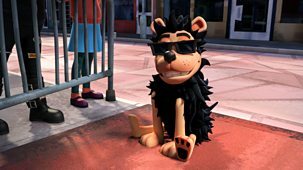 Dennis & Gnasher Unleashed! 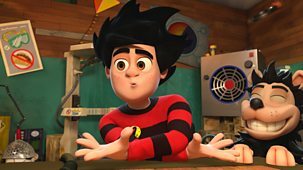 Catch Up? 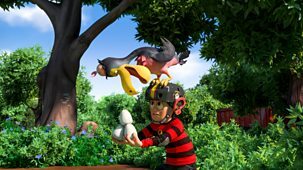 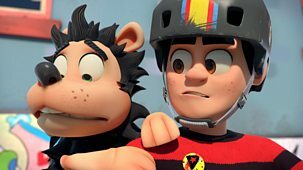 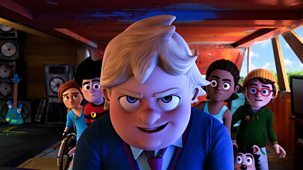 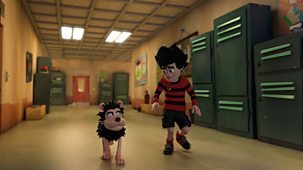 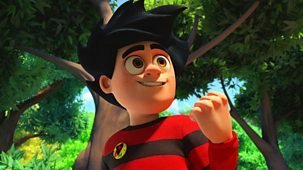 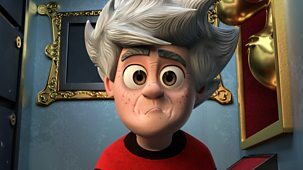 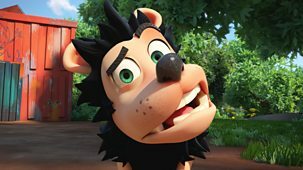 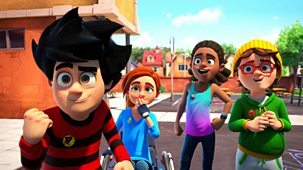 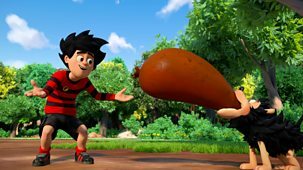 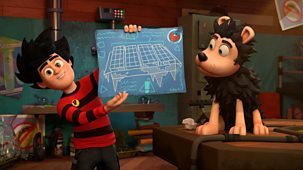 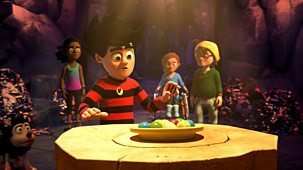 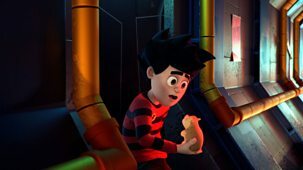 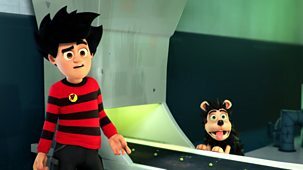 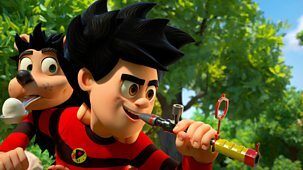 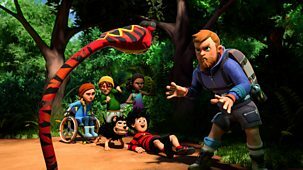 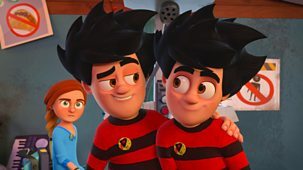 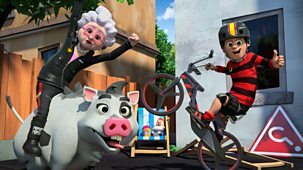 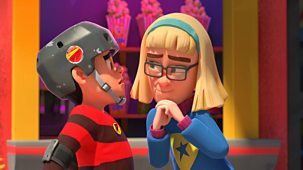 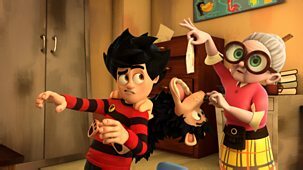 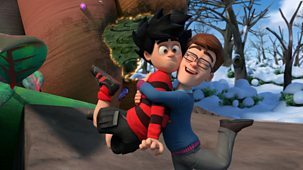 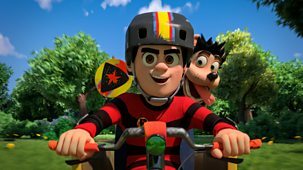 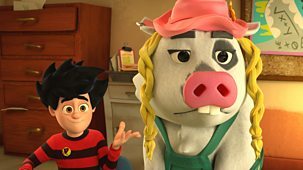 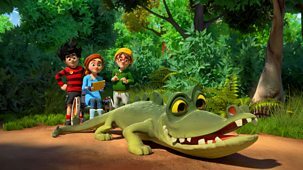 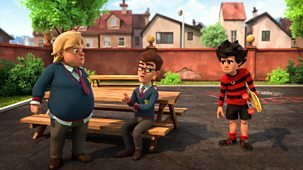 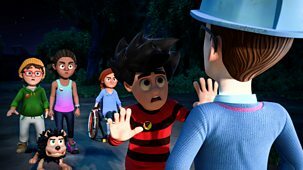 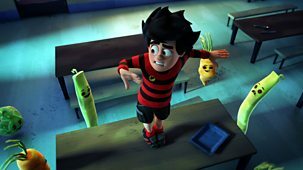 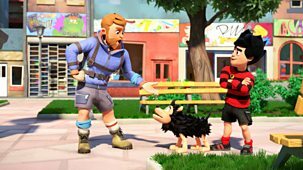 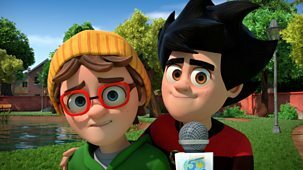 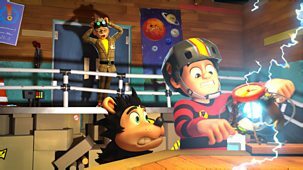 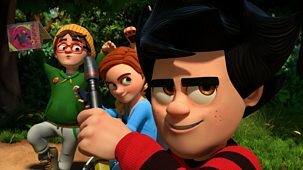 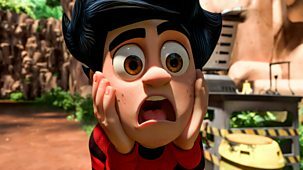 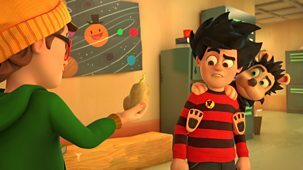 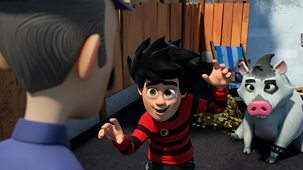 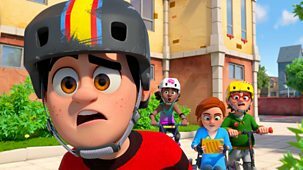 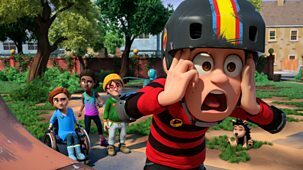 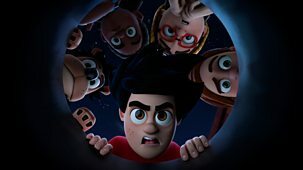 CGI animated series about Dennis the Menace and the residents of Beanotown. 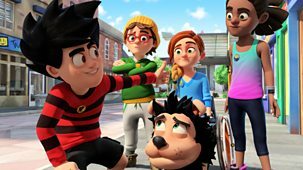 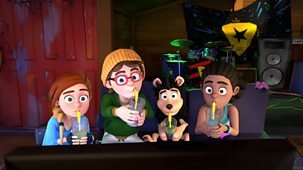 When the gang go on an adventure in search of the Beanotown Yeti, Walter follows with plans of his own for the rare beast, and Dennis and his chums must come to its rescue. 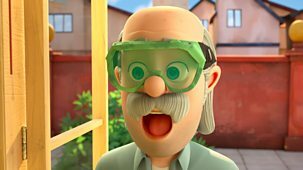 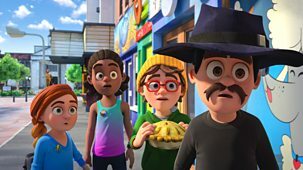 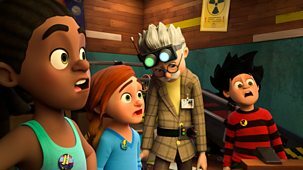 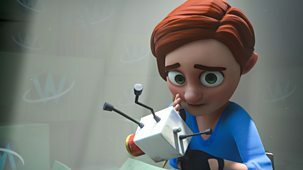 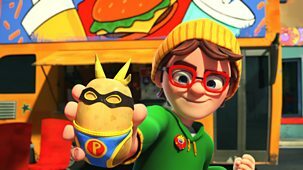 The class dig up a mysterious time capsule which sets them off on a race to find hidden treasure before Walter or a greed-crazed Paul the Potato can find it first. 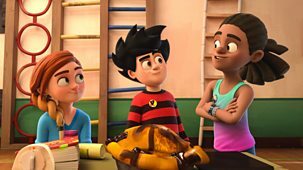 Pieface's first sleepover in the den is troubled by spooky tales of a frightening Fangtom and Walter turning up with a demolition gang determined to flatten the den!